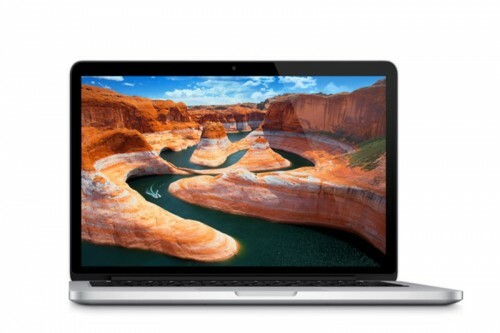 Apple unleashed on the world its lightest Macbook Pro yet: the 13″ MacBook Pro with Retina Display. The new 13″ MacBook Pro is .58″ thick–20% thinner than the previous version–and it weighs in at a paltry 3.57 lbs, by far the lightest MacBook Pro to ever come out of Cupertino. In fact, it’s almost a full pound lighter than its predecessor. 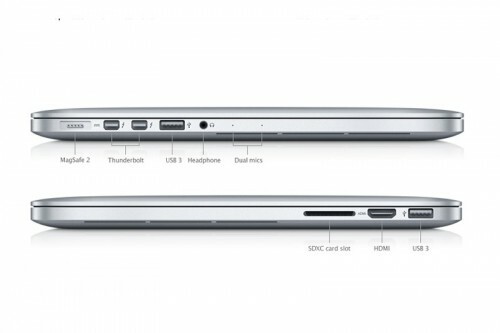 It comes with MagSafe 2, two USB 3.0 ports, two Thunderbolt ports, SDXC card slot, HDMI output, a headphone jack and dual mics. The Retina Display is a 13-inch (2560 x 1600 pixel) IPS panel, creating a visually stunning display with an incredible 178 degree viewing angle. It is also scalable to 1680 x 1050 as well as the classic MacBook Pro 1440 x 900. The front FaceTime camera has been improved to 720p, finally giving users an HD webcam for all their Skype and FaceTime needs. The processors have been upgraded to Ivy Bridge, with a dual core i5 2.5GHz and an optional dual core i7 2.9GHz. This will give a some welcomed additional speed to applications that rely on processor power. RAM is non-upgradeable, fixed at a palatable 8GB with a flash memory hard drive available in the stock 128GB and upgradable to 256GB, 512GB or 768GB. 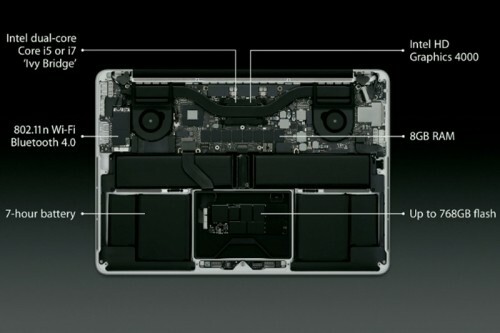 Apple has designed and crafted quite possibly the greatest notebook ever. It is a gorgeous, functional work of art that will set the new notebook standard for the foreseeable future. 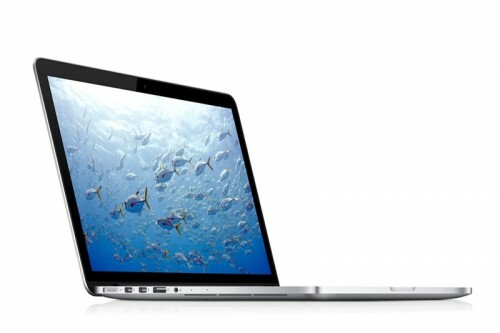 The new 13″ Macbook Pro is available immediately at the Apple Store or online, starting at $1699.